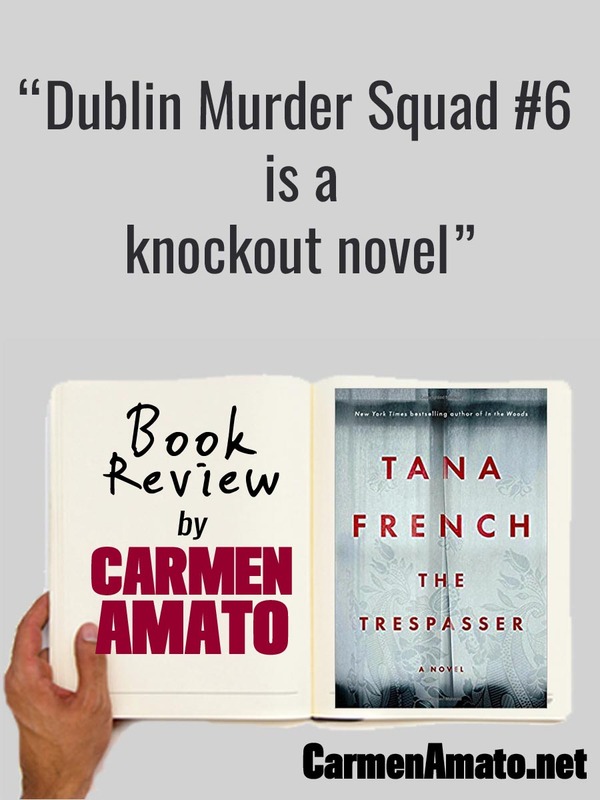 THE TRESPASSER by Tana French is the 6th novel in the chronicles of the fictional Dublin Murder Squad. Each is narrated by a different member of the squad, whose private life is somehow linked to—and tragically impacted by—the central crime. When in Dublin last year, I visited legendary bookstore Hodges Figgis and found a whole section devoted to Irish crime novels, in which French’s books held pride of place. THE TRESPASSER shows why. The narrator this time is Antoinette Conway, the sole female detective on the fabled Squad and I couldn’t help noticing the similarity to Detective Emilia Cruz in Acapulco. Both are tough, athletic, determined, and the target of their male colleagues. Neither have ever met their father. To round off the similarities, Conway is half Latino. But unlike Emilia Cruz, Conway’s mood is sour and her temper is explosive. She’s fed up to here with garbage from fellow detectives. Her reports go missing, someone broke into her gym locker to pee on her stuff, and she and her partner Moran are permanently stuck on the graveyard shift. Conway is ready to chuck it all for a lucrative bodyguard job when she and Moran are dispatched to investigate the murder of Aislinn Murray, an attractive secretary killed at home by a blow to the head. A little scratching reveals that Aislinn was about to have dinner company. Guileless Rory Fallon owns a bookstore across town and has had a few dates with Aislinn. He claims that she never opened the door when he arrived but closed circuit cameras reveal he’d been stalking the victim for several weeks. Enter the Murder Squad’s resident Mr. Cool, aka Detective Breslin. He’s got money, charm, flash suits, and a game show host smoothness that Conway sees as weapons he’ll use to discredit her and force her out of the Squad. Breslin is sure that poor Fallon is their killer, despite no witnesses or hard evidence. Thus begins a cat-and-mouse game of Conway and her partner trying to run down more angles, while he tries to circumvent their orders and nail Fallon. This makes for some great interrogation room dialogue. Every conversation reveals more competing agendas and French keeps the tension high. In the background, Conway has her own Peeping Tom, Rory Fallon wasn’t the only one stalking Aislinn Murray, and there’s a subtle father-daughter relationship comparison happening. Aislinn Murray was obsessed with finding her long-lost father while Conway doesn’t even ask her father’s name when he finally turns up. The plot is solid but the most engrossing thing about THE TRESPASSER is Conway’s deep point of view. It’s a mix of in-your-face Irish slang, slick cop jargon, and a harsh and headstrong irreverence for everything in her way. Conway is plowing through life with her fists up, looking for the fight; snarling and snapping and loaded with the local equivalent of Red Bull. Get ‘em up, Rocky. THE TRESPASSER is a knockout.